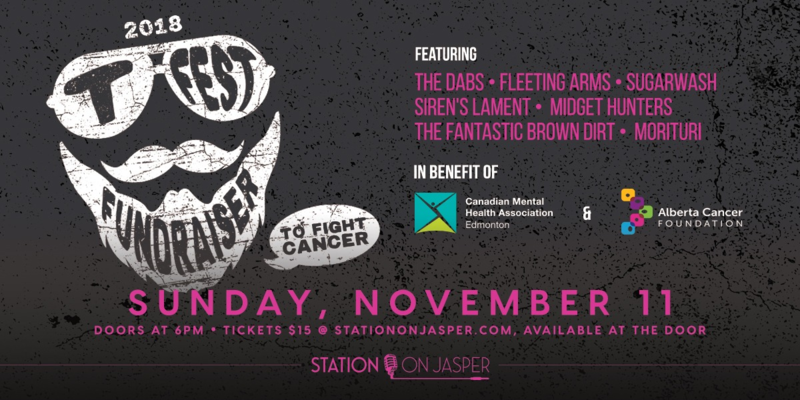 The Fifth Annual T-Fest Fundraiser takes off on Sunday, November 11 at Station On Jasper. All the event proceeds including door/ticket sales, 50/50, guitar raffle will go to the Canadian Mental Health Association - Edmonton Chapter. Tyrell will also be undertaking a fundraising drive for the Alberta Cancer Foundation which will conclude with the shaving of his beard during the event.